American's Clean Air specialists. Call Now! Are you and your family breathing the cleanest possible air in your home? 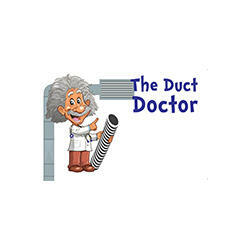 One key way to ensure there is healthy air in your house is by having your air ducts cleaned by The Duct Doctor! Especially for households with allergies or any pets! Did you know that clogged dryer vents are the #1 cause of house fires? The Duct Doctor will clean all that lint and dust out of your vents to ensure they work at peak performance while also keeping you safe.